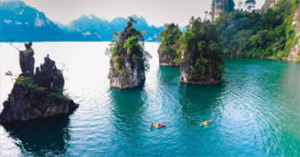 3 Days 2 Nights: Khao Sok Forest - Best National Park of Asia. The excursions concerns: Green Forest, Lake, Mountains, Rivers and Fog. 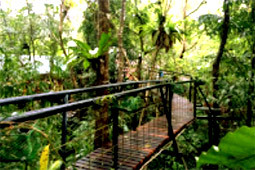 The trip of excursion leads you into the thick safari of Thailand's northern - the highest ecology of forest life of Asia. 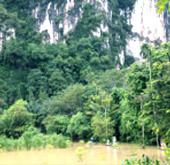 3 Days 2 Nights relaxing your soul with the peach of Purity Safari Nature - Khao Sok or Sok Mountains National Park. "We do the Eco activities about the forest" in the mean time. And staying one night on the Tree Top House, and one night on the piece of water of the Lake. 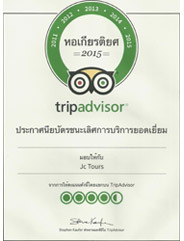 What do we recommend? Please see the highlight pictures, read the details and study the program before submit the booking to take yourself into the Hug of Nature. Chiew Lan Lake Dam is located in Sok National Park, The landscape of the large Lake is so nice - there are many mountain islands with difference shapes, the wildlife, safari birds, wild elephants, buffaloes, picks, gibbons and etc..are living around the area. 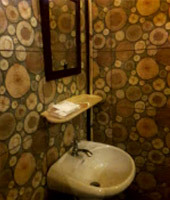 House on Tree Top with full of facilities: Air-Condition, Nice Bath Room, Sitting Room, Hot and Cool Shower,Swimming Pool amid the Safari and over the bush walkway to the Room. 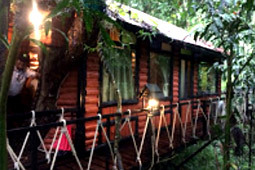 Staying on this tree top bungalow touching the rare nature from the safari over the tree. 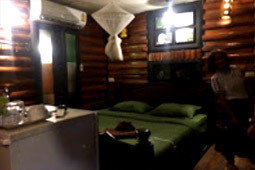 In this package includes the comfortable floating bungalow - Air Condition, Full convenience equipment. The floating is located in in the nice view of water piece amid the thick nature of Safari meets the water. Good place for swimming all day, nice windy and clean fresh water. Safari, River and Lake Activities. Bamboo Rafting is great for discovery along the river - Sok River. The rafting leads you into the thick safari and passing the curves into the cave of Mountain Cliff - Sok Mountain. This safari activity can make you be happy and touch with the real completed national park of Asia. Good Selections! elephant trekking or Just elephant bathing (you can choose one.) At the Elephant Camp amid the nature safari, we prepare the big nature pool for elephant bathing which you can select to do this activity instead of Elephant trekking. 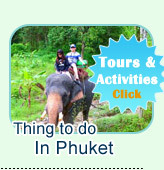 And for sure, you can just do the elephant Trekking into the safari as well. 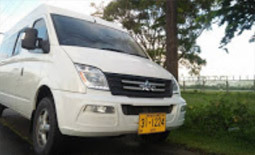 In this package includes the private car with the polite driver to pick up and drop off from your hotel, go to the tour and stand by 24 Hours for 3 days 2 Nights. 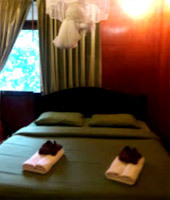 By the private make you more comfortable and flexibility about the time "No need to hurry and no one to wait." 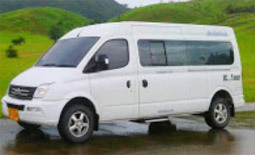 07:00 AM: The private Minibus with the nice driver and tour guide of Jc.Tour Picks you up from the Hotel in Phuket or Khaolak. 14:00 PM: Do the nature activities with the Elephants: Do a nice Elephant Trekking into the safari and along the safari brook. 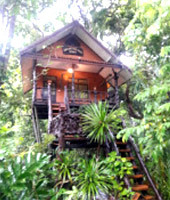 16:00 PM: Check In at the Tree Top House. Your room is over the Tree. - Relaxing among the thick Jungle. 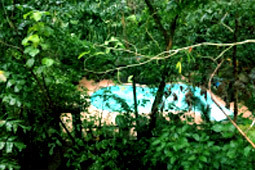 - Nice Safari Swimming Pool. 18:00 PM: Dinner Served at the "Safari Restaurant." 07:00 AM: Breakfast at the Restaurant of the Hotel. 08:00 AM: Check Out. Your private car and tour guide picks up. And we go ahead to the Safari Chiew Lan Lake- Lake of Dam. 09:00 AM: Arrival the Pier. Your private long tail boat take into the Lake. Real nice sightseeing along the way. 10:00 AM: Arrival the Island (On the lake) We take a 30 minutes Jungle Walk. - Cross the thick safari to the other side. 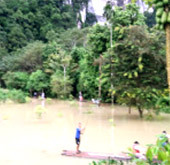 10:45 AM: Continue by the Bamboo Raft with Motor cross the water to the Lime Stone Cave. 12:00 PM: Back to the Boat. Take us to the Raft Houses Resort. 13:00 PM: Arrival the place. Check In your over the water bungalow. - Nice Room, Nice View, Nice Cool and Over the water staying. - Having Lunch. Nice food on floating restaurant of the resort. 15:00 PM: The private boat picks up for 3 Friends Mountains Point. The nice point with scenic 3 mountains island over the water. - Funny with swimming point amid the safari lake. 17:00 PM: Come back to the Bungalows. - Enjoy the Floating Room Terrace on the water. "Classic Night, Watching the Stars over the water." 09:00 AM: Leave from the Bungalow to the Pier. - Arrival the The pier, your private car take you out from the Lake. 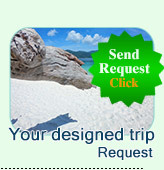 Private Car transfer and Stand By 24 Hrs.